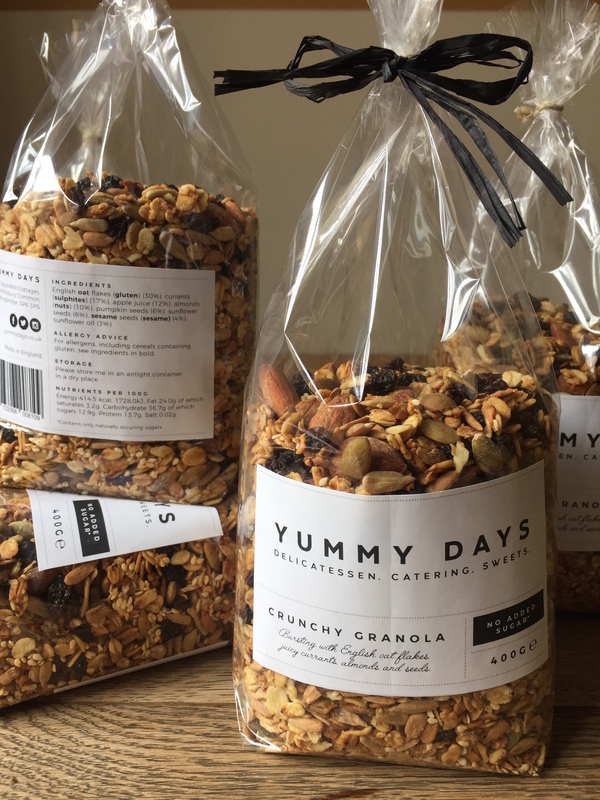 YUMMY DAYS CRUNCHY GRANOLA – Bursting with English oat flakes, juicy currants , almonds and seeds.No added sugar! Ingredients: English oat flakes, almonds, sesame, pumpkin, sunflower seeds, apple juice, sunflower oil, currants. No added sugar. 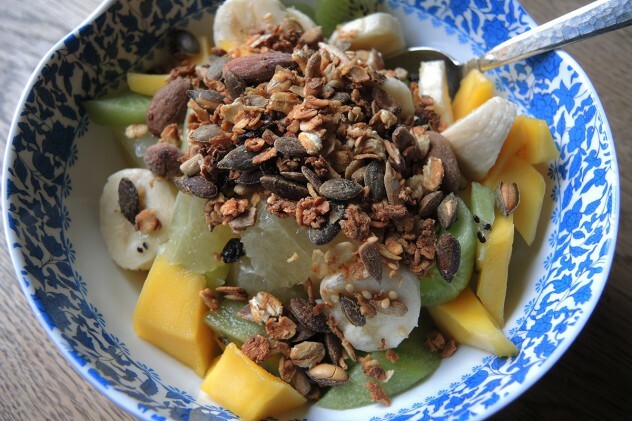 How to use: 1-2 tablespoons on top of a fresh fruit salad or yoghurt. My personal recipe ♥︎ I soak organic jumbo oat flakes in hot water, cool them down and topp up with some fresh fruits and a tablespoon of granola! Keep me cool and dry. I bought a packet of your crunchy granola at the trout and about in Stockbridge. I just wanted to say it the best granola I have had, the almonds are especially tasty. Where can I buy more? I live in Abinger Hammer inSurrey.